From the third day of my son’s life, I was convinced that I would only have one child. He had health problems. He had nursing problems. I had several breakdowns and found that I possessed less patience and stamina than I had imagined. I started thinking of all the reasons that having one child was better than having two. Less work. Easier to find a babysitter. Cheaper to travel. More room in the car. More room in the house. Not to mention the environmental issue. Earth’s population is exploding. Why add to it? Only children often score better on tests, they have nicer things, they have higher self-esteem. Fewer diapers to change. No more pregnancies. No more nursing. No more nighttime feedings, diaper rashes, or tummy time. No siblings fighting in the backseat. A cheaper, easier life overall. Even when my son was eighteen months old, I firmly believed he would be an only child. I am what my dad calls “independent.” If I didn’t have my little pack of three, I’d be a “lone wolf.” My mom sends me articles written by other introverts. Basically, I enjoy my alone time. But, like many introverts, I also enjoy people. I like having company, as long as I’m in the frame of mind to handle it. Being a mommy doesn’t grant one a lot of alone time. I don’t have the personal experience yet, but I’d imagine that the more kids you have, the less time you get alone. Of course, after a certain age they will (hopefully) play together, and there’s school, etc, but that’s a long way off. Then again, it is an exaggeration in many ways to say that motherhood allows for zero breaks. Sometimes you get a babysitter. There are naptimes, at least for the first couple of years. If you are a loner, you might well give birth to a loner–for example, my son sometimes prefers to play alone and will get quite peeved at anyone who tries to horn in on his block building. And there are those times, as Louis C.K. points out, when you’ve got the kid(s) buckled into their car seat(s) and the car doors are closed while you walk around to the driver’s seat, and for those sixteen seconds, it’s like you’re single and childless again. These moments are bliss. The longer you are a mommy, the more you learn to organize these free minutes so as to have something resembling a life of your own. This happened to me when my son was about 20 months old. We had a good schedule of outings, including regular trips to the YMCA, where I could work out/read/write for up to 2 hours while he had a blast playing with their volunteers and meeting new kids. We had weekly play dates twice a week. We walked the dog and the kid stayed happily in the stroller, quietly observing the world. We had a babysitter he loved who wasn’t coming regularly (she once had) but was usually available on short notice and always happy to help. All this, plus I had started a small dose of Zoloft. I had long resisted anti-depressants because I knew I couldn’t/wouldn’t want to take them during pregnancy and nursing. I started the Zoloft because I thought I’d never be pregnant again. 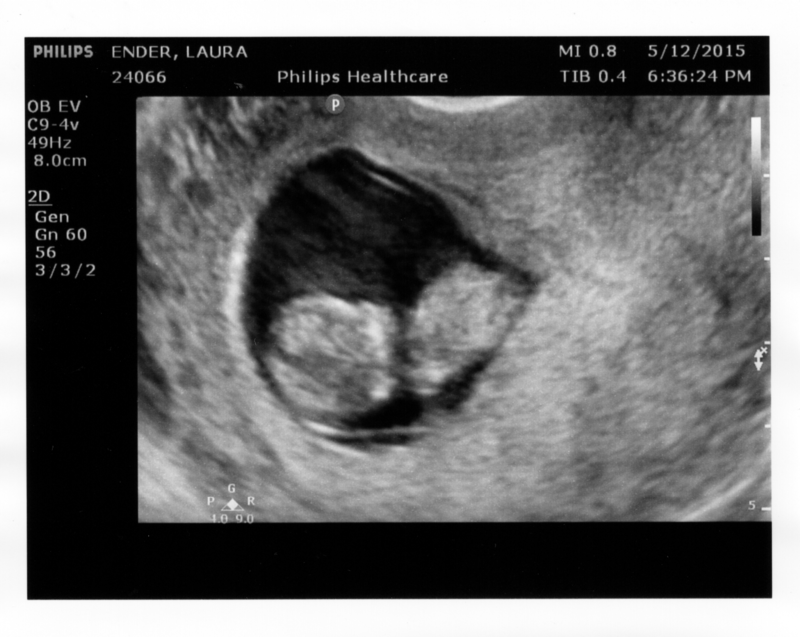 So, the joke is on me: To some degree, it was the Zoloft that made me want another kid. You see, there are two Lauras: Happy Laura and Depressed Laura. Happy Laura wants to take care of people. She adopts a dog and buys a half dozen chickens and admires them all while they’re sleeping, making sure they get the food, water, exercise, and socialization they need while still tending to her toddler. She cooks dinners for her husband and does at least a passable job cleaning the house and bakes goodies for friends and enjoys making fancy drinks with her espresso maker. She plans parties. She like salads. She can spend a whole afternoon dancing to Disney songs in the living room. She finds time to do the things she loves. You would like Happy Laura. I do. She’s bright and generous and fun. Then there’s Depressed Laura. She likes to stay home and eat cheese sauce out of a jar. She likes binge watching Everybody Loves Raymond and re-reading The Lord of the Rings or Wuthering Heights. She spends a lot of money on junk and lets the pink fuzz grow inside the toilet and thinks throwing frozen chicken nuggets in the oven is a Herculean effort. She only attempts to write because she has been writing every Saturday morning at Starbucks for almost a year, and sometimes when she gets there, she watches other customers descending on the place like ants on a cookie crumb and hightails it out of there, feeling itchy and afraid. Okay, there are more than two Lauras. There’s a whole spectrum of them–for example, I am definitely sliding toward the depressed side of things right now (I ditched the Zoloft when we started trying to get pregnant, and I came to a point with my therapist where I realized she might not have enough life experience to really relate to my specific problems), but here I am writing, because I’m just happy enough to feel like I want to share this with you, and because the longer I spend tap-typing away at my computer, the more human I feel, and when I feel human, I move much closer to happiness. Of course, as I write, my son is playing on the floor behind me, and keeps leaning in to see what I’m doing an critique the songs as they come up on Pandora, and my leg is coated with a thin layer of drool. Every so often I have to stop to read his Care Bear counting book. Though he denies it, I smell a poopy diaper, which means I’ll have to stop and change it shortly. Happy Laura actually revels in these little interruptions. After all, writing a blog post is not a highly intellectual undertaking and does not require the concentration of writing fiction. Depressed or Happy, I’m smart enough not to try to write fiction while my son is in the room; it just leads to frustration. But this kind of moment that I’m experiencing right now, the times of balance, with a happy child and a happy mommy orbiting smoothly around each other, stopping occasionally just to share a smile–they can revive Happy Laura even when Depressed Laura has spent weeks drowning her in nacho cheese. These are the moments that convinced me, about six months ago, that I absolutely wanted another child. I’ve had a lot of time in my life to focus on my own concerns and ambitions–the things that obsess Depressed Laura’s mind like Gollum’s precious, that which was stolen, that which once made my life complete. Except, when Happy Laura gets a word in, she reminds me that when I had all the time in the world to focus on my work, I was rarely more productive than I’ve been when I also had a job or even a child. Plus, whenever I’ve had no other pressing occupations (I’ve been unemployed a lot–but that’s a whole other blog post), writing has felt like work. I’ve written a lot of terrible pages, just trying to push through a certain number of words a day to give myself some sense of forward motion. But when I have to squeeze writing into the cracks in my schedule, it can feel almost blissful. You see, one of my reasons for not having a second was the idea that I’d never get any of my own work done. And, sure, I might not get much done the first few months of Baby’s life, but that’s something I can deal with. I organized my life with one baby; I can do it with two. I have a lot of reasons for wanting a second child, and you’ve probably heard them all before from other moms (or aspiring moms) of two, but there’s really one big thing: the vague and frustrating feeling that our family is not complete. There’s one more of us out there (or, now that I’m pregnant, in here). Even if s/he causes months or even years of trouble, sleepless nights, even if we get a wall-climbing, toy-smashing monster in need of maximum security parenting, we will love that kid to pieces and s/he will be one of us. I have to make a point to remember this. Between ditching the Zoloft and beginning a heavy dose of pregnancy hormones, Depressed Laura has mostly taken over my life in the past couple of months. If you know me personally, you’ve probably seen me back out of social occasions, or spend them in a corner by myself. You might have read somewhere on the internet that pregnancy protects against depression (I only read it when looking for helpful suggestions with the keywords “pregnancy” and “depression”) but you might also think that pregnant women all glow like fireflies. If I’m a firefly, I’m the one that hit a windshield and has baked awhile in the sun. You can read a lot of junk on the internet–I know I have. Depressed Laura especially likes to Google her heart out. She also has a short temper and a tendency to think (or scream at her husband–whatever), “WHY AM I HAVING ANOTHER CHILD?!?!? !” Because there’s so much that comes with motherhood that I don’t want. I don’t want morning sickness or heartburn or a pea-sized bladder. I don’t want to rip myself apart for the second time and waddle around feeling my bones creaking and moaning inside me for weeks. I don’t want to reduce my sleep to a few hour- or two-hour-long naps per day, or suffer the terrible acne that pregnancy and post-partum hormones inflicts on me, or the additional scarring I’m sure I’ll have on both my face and tummy. I don’t want to have to stop my toddler from hitting the baby or pulling its ears or trying to carry it around like a teddy bear. I don’t want to deal with fussy bedtimes or horrible gas spells or my breast pump or any of that. I could probably go on forever with the “don’t wants,” but in the end, it’s a little like saying, “I don’t want to go to Paris because I don’t want to deal with airports and subway stations.” Who would miss out on something so beautiful just to avoid a few petty discomforts? Especially when, deep down, one has always wanted to see the City of Light? Yes, there will be rude hotel clerks and you’ll be accosted by a number of con artists because, no matter how you try, you won’t be able to disguise the fact that you’re a tourist, and there will be many unwashed bodies crowded in certain spaces and you might end up light-headed at the top of the Eiffel Tower, but you’ll also have the most amazing bread and cheese you’ve ever eaten, and see some of the world’s most beautiful architecture and art, and see the lights from atop Montmartre, and you won’t regret going. Hi Laura: We have two children, two years apart, but they are grown now. I relate to how you’re feeling and remember feeling down while pregnant with my second child who turned out to be a girl. I know know feeling “down” is not nearly the same as being depressed. Your valley is much deeper than the one I experienced I know. When I was pregnant with our daughter I felt she was sucking me dry of my life force. I didn’t have any energy or enthusiasm and felt EXTREMELY tired all the time and hunger would descend on me like it does on the starving. One minute I was fine, the next I was STARVING! Crazy days. Once our daughter was born life returned to normal for me fairly shortly. That’s my wish for you: normalcy, although it will be a new normal with two little ones. But I know you have a loving mother and father who jump at the chance to be there for you. You’re lucky in that regard. I wish you all the best in this second (and final it sounds like) pregnancy. My unsolicited suggested are these: take it one day at a time and ask for help. Thank you. Normal would be so nice right about now.